on the woodside. : *kiss my sass. Sunday, November 02, 2008 Labels: j.
so awesome. thanks for posting. I loved this. 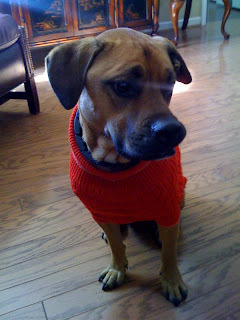 A house full of puppies in red sweaters. Post em all Katie ... post em all! I am glad its red. We need the dog vote. Glad you thunk the way REAL Americans thinks. OH NO! 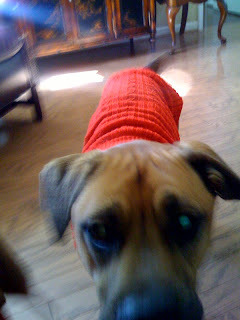 The sweaters may be red but that dog, along with the rest of the pack, has a total blue heart!